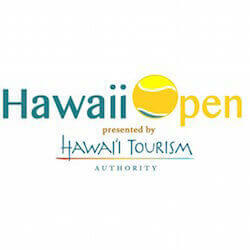 The second annual Hawaii Open will be played starting November 20th and forms part of the WTA 125K Series. The event is presented and organised by the Hawaii Tourism Authority and is played outdoors on a hard court surface. 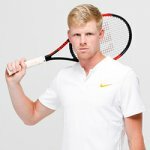 The Hawaii Open includes a 32 player singles main draw as well as an eight team doubles draw. The Hawaii Open is the only WTA tournament held annually during the week of thanksgiving. Vera Zvonereva and Sara Errani will be the two players to watch. We take a look at who exactly these players are and what we might expect from them at Hawaii. 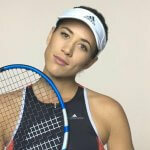 Vera Zvonereva is a former Wimbledon and U.S. Open finalist and only returned to the pro-circuit this year after a prolonged two year absence as a result of motherhood and injuries. Zvonereva reached the final of the Dalian Open in September of this year. Quite an incredible feat since the Dalian Open had been her very first WTA appearance since her return to professional tennis. Speaking to the press, Zvonereva said that in her experience it was and it would always be tough to make a comeback to pro-tennis after a prolonged absence but that she felt comfortable being back and being able to play professionally again. Sara Errani made news headlines for all the wrong reasons earlier this year when she was banned from pro-tennis for two months as a result of a doping bust. The chemical Letrozole was found in Errani’s urine earlier this year. Letrozole is common in treating breast cancer, but is also very functional in the building of female muscle tissue. The official excuse offered was that Errani had eaten food that had been accidentally contaminated by the drug at the home of her mother. Errani has won nine career single titles and twenty six career double titles. These include five Grand Slam double titles. Errani entered the tennis scene in a bit way in 2012 when she reached the singles quarter finals at the Australian Open as well as becoming a finalist in the doubles play. At the French Open during that same year, Errani reached the finals in both the singles as well as the doubles events. She went on to win the doubles title event with her partner Roberta Vinci. Wimbledon is officially the only Grand Slam event in which Errani has yet to reach the quarterfinals in the singles division. 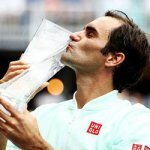 Three-time champion Roger Federer has progressed to the Miami Open semi finals after his recent straight set victory against Kevin Anderson. 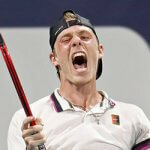 Swiss Federer, who last year was knocked out of the Wimbledon quarter finals by the 20th seeded, beat the 32 year old in under an hour and a half …. 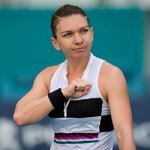 Simona Halep managed to overcome a lapse during second set to secure a 6-4 7-5 quarter final win over Chinese Wang Qiang at the Miami Open, putting the Romanian one victory away from taking her place as the world’s top ranking player. Second seeded Halep returned to from after 5-1 ….